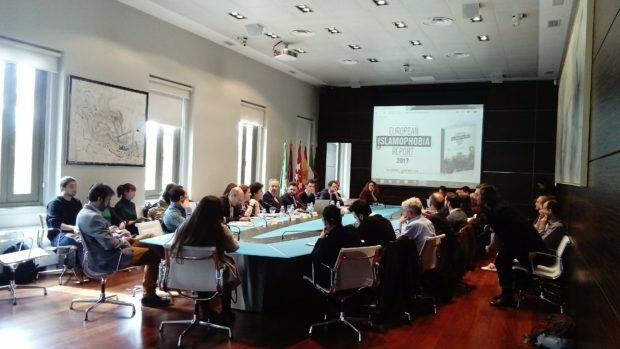 The present communication aim is to deepen on the use of History and its link with the rise of Islamophobia in Spain, all framed in the current political context we are living. This approach, in addition to providing us with an understanding of the narratives of Islamophobia that are being formulated today, will allow us to understand the fight against Islamophobia we are promoting from the Islamic Culture Foundation, both from our Twistislamophobia project, and from the recently created Center for the Study of Islamic Madrid. Our contribution to the organization of these panel is framed, in this sense, in the Twistislamophobia project. 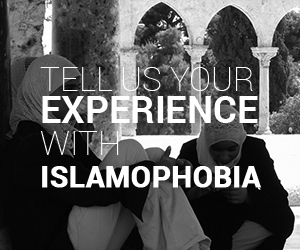 It is a branch of FUNCI in which we work since 2015, funded by the social project of La Caixa Foundation, and whose main goal is the creation of counter-narratives against Islamophobia. Through these counter-narratives we try to tear down some of the prejudices and stereotypes Islamophobia relies on, as well as, as we will see today, the intentional manipulation or creation of facts sometimes done by the different political powers. In this sense, there are two main aspects we would like to talk about: first, the continuous process of re-writing History that is taking place in Spain, which is intensifying and gaining more and more importance in this constant electoral period we have found ourselves in the last years. Secondly, the polarization trend this historical narrative and electoral context is triggering among the different political parties participating in the elections. Although the purpose of this communication is to give real examples of how this narrative is being produce, I would just like to clarify that by the re-writing of History we are referring to the common notion of the “invention of tradition” famously developed by Hobsbwan, which aims precisely at re-writing History so it can legitimate today’s reality and goals. This use of History for political purposes is exemplified the best, in Spain, through the use of the Reconquista as a political or electoral weapon, and the symbolic and legitimating work it grants to all who formulate it. The Reconquista, as you know, refers to the campaign launched by the Christian kingdoms against the Muslims during the period of Al-Andalus, which came to an end in 1492 after the conquest of Granada. The concept, however, wasn’t formulated during these period, where the conquest of land was understood as a mere invention and a fight for power against the surrounding kingdoms, but in the 19th century, with the rise of Romanticism and the notion of nations. It is, in this sense, inherently patriotic –understood in this sense as a project of unification of the land– and Catholic –as the main motivator and unifying force of the campaign –, and, of course, it portrayed a common enemy: Islam, and the Muslims as an invading force. As the former President José María Aznar would state in the late 2000s: “No Muslim has yet apologized for invading my country for 800 years”. The Reconquista has become a messianic idea, that will allow to find once again a Spain whose identity has been lost under the economic crises, the political corruption, separatism, and, more importantly, the diffusion of its identity through the arrival of immigration and different practices and traditions. 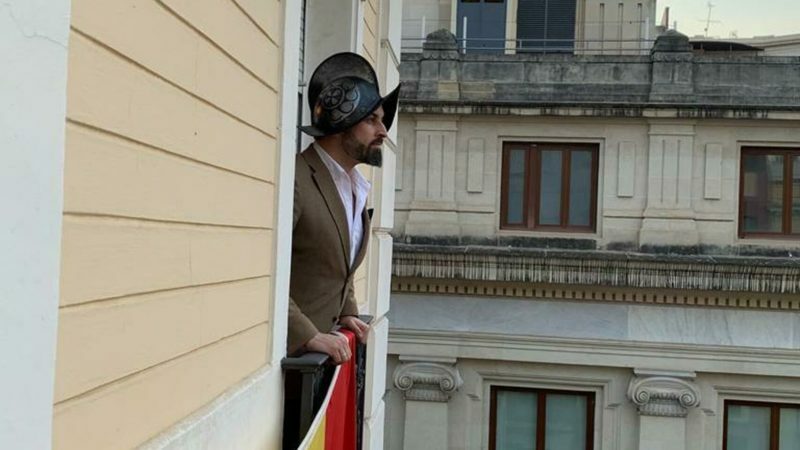 The reason this term has come forward once again, as you can imagine, is the rise of the Far Right in Spain, exemplified in the arrival to Parliament of the alt right party VOX in Andalusia in December 2018. The notion of the Reconquista played an important role in their campaign, both in the party’s narrative and in the audiovisual tools, under the motto of “the Reconquista will begin from the South”. It becomes, in this sense, a messianic idea, that will allow to find once again a Spain, whose identity has been lost under the economic crises, the political corruption, separatism, and, more importantly, the diffusion of its identity through the arrival of immigration and different practices and traditions. Only the recovery of this identity, Catholic, Patriotic, country-proud and unified, can “make Spain great again”. To comply with the current legislation on immigration, avoiding any decision that might trigger a “pull effect” and to fight the mafias trafficking with people. To support on a material, human and bureaucratic level the State security forces and bodies in charge of the protection of frontiers, thus, guaranteeing a legal and controlled immigration, respectful with our Western culture and always linked to the labor market. The Government of Andalusia will collaborate with all possible means to prevent the threat of Islamic fundamentalism. These measures leave a big room for manoeuvre, especially when looking at the abstract concepts it formulates, such as “to avoid the pull effect”, “immigration respectful with our Western culture”, or “all possible means to prevent fundamentalism”. In the end, these could allow to justify the violation of the rights of immigrants and foreigners, as well as a regression of the country’s human and immigration rights. See, for instance, the request to access the data of the 52,000 undocumented immigrants registered at the regional Health Council, with the aim of repatriating them. This communication doesn’t only try to highlight these examples of the increasing xenophobia in the Spanish far right, but intends also to alert about the polarizing effect it has and the chain reaction its generating. Politically speaking, and looking at the many elections that lay ahead, the fear of the right wing political parties upon the rise of VOX, and the losing of votes this might have as a consequence, has provoked a tilting to the far right in all right wing political parties. Thus, generating a competition for the far right vote, and the adoption of extreme political stances with regards to immigration and the notion of a national identity. The fear of the right wing political parties upon the rise of VOX, and the losing of votes this might have as a consequence, has provoked a tilting to the far right in all right wing political parties. As an example, Juanma Moreno (PP), the recently elected President of Andalusia, confirmed after his election the party’s intentions to have an organized, coordinated and planned immigration, linked to the labor market and that avoided the pulling effect. Likewise, a year ago and in the context of the Aquarius boat crisis, Pablo Casado, president of the Popular Party, alerted that “It is not possible for Spain to absorb millions of Africans”, spreading the fake news that: “the police records alert that there are a million immigrants at the Libyan coast planning to travel to Spain”, and that “NGOs alerted that 50 million Africans were gathering money to follow those routes”. Of course, non of these facts is actually true, and would actually correspond to the realm what we know as fake news. What’s more, with regards to their respect of the Spanish identity, he stated: “Or immigrants respect the Western ways or they have come to the wrong country […] here there isn’t female circumcision, nor we kill our goats at home or we have problems of public safety”. 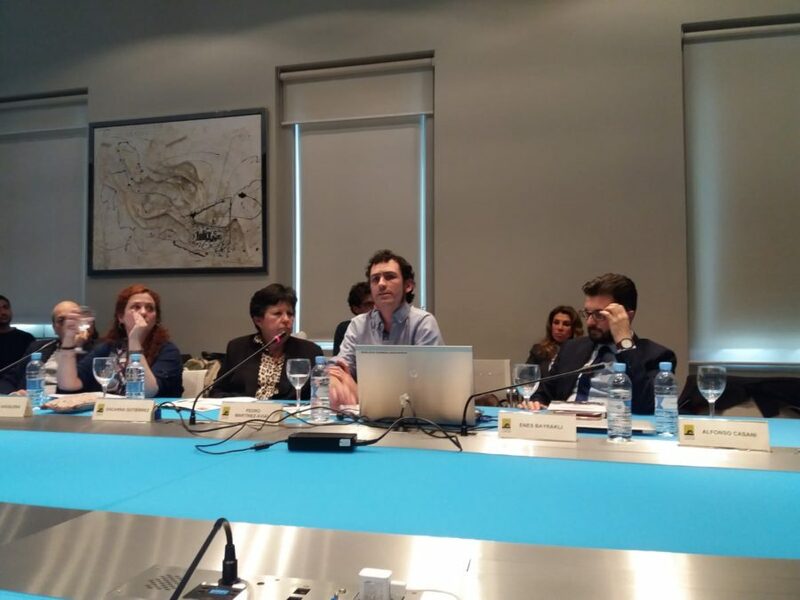 On his part, Albert Rivera, leader of Ciudadanos, alerted on the “policy of good-doing” implemented by the government with regards to immigration. The same thing has happened with the narrative on the Reconquista as an idealized form of patriotism, which has portrayed a competition between political parties to capitalize the notion. 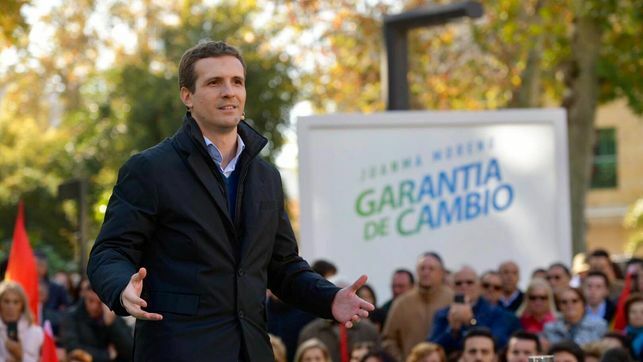 Thus, after the Andalusia elections, it was Pablo Casado (PP) who spread the motto of: “We are going to begin the Reconquista of Spain that of a reasonable government that defends the unity of the nation, the creation of jobs, and the preservation of the Welfare State”. This slogan has been complemented with the visiting to the Cathedral of Oviedo, to see the Cross of Victory, “an emblem of the Reconquista”, or with this declarations on October 12th, on the importance of the “Hispanidad” (Hispanicity), when he referred to the controversial conquest of the Americas by the Spanish troops as: “the most important period, not only of Spain, but of all Human kind, along with the Roman Empire”, as “no other centenary nation has done more for humanity, than discovering a new world and changing History forever”. As I explained at the beginning, our Twistislamophobia project at the beginning of the communication, I would like to end by highlighting our work at the Center for the Study of Islamic Madrid. This Centre was officially launched in 2017, with the goal of recovering the mostly-unknown cultural and material Islamic heritage of Madrid, as the only European capital of Islamic origin. Through this project, and going beyond its cultural goal, we try to recover a part of our History, thus, using it as a useful tool for building bridges among civilizations, by blurring the lines of the dichotomy “us-them” created between Spanish nationals and Muslims and portraying a common heritage, and the emphasis of the historical and cultural ties shared. As, and thinking once again about the Reconquista, how can you reconquer something that had not been yet built?